The purpose of this column is not to pick on the United States Golf Association nor the R&A. In fact, these co-arbiters of the Rules of Golf deserve to be congratulated for the improvements in the rewriting of the Rules which will take effect Jan. 1. However, (there’s always a however!) the two organizations have missed the boat with the recent reinterpretation of Rule 4.3 (Use of Equipment) covering information players may use to describe the topography of putting surfaces, the so-called “green reading books.” Announcement of the proposed revision was followed by six weeks for public comment before the reinterpretation was published in final form on Oct. 14. The new rule does not ban green reading books nor apps but does require some minor limits on the content. There’s no argument with green reading being an essential skill but to presume green reading books somehow mitigate that skill flies in the face of what the best putters in the world, those on the PGA Tour, are actually accomplishing. Another part of the reasoning was by limiting green reading materials the pace of play would improve and that in my opinion is at best disingenuous. There are lots of ways to speedup rounds at the U.S. Open and U.S. 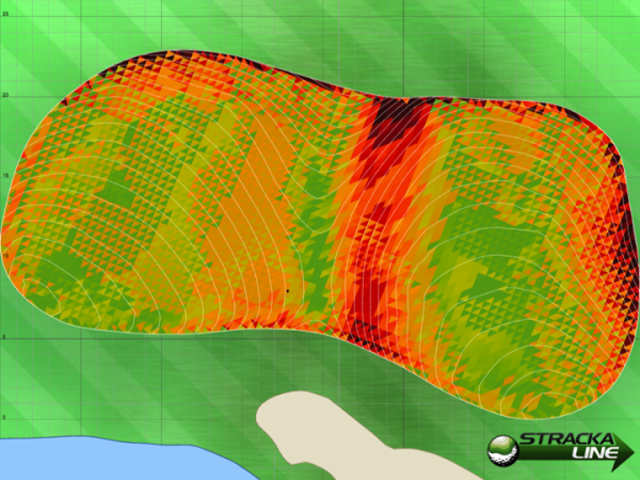 Amateur and messing with green slope information is way, way at the bottom of the list. Besides even the rankest amateur knows the amount a putt breaks depends on how hard it is hit so even “knowing” the line is not even close to solving the problem of knocking the ball in the hole. And we haven’t even discussed enforcement which could well be a mare’s nest of conflicting views. Huh? Is this like the NBA? No blood no foul.? It looks like all of this wasn’t for the sake of greens books giving an unfair advantage, not when the most salient factor in putting is proper speed. The new rules didn’t change what Jim Stracka and his people do so why then did the USGA and R&A go through this exercise? Good question and one that remains answered. It does bring up another much more important issue that of relevancy. As has been pointed out in the past the USGA seems to have lost touch with the everyday game we play. Aren’t there other more important issues like figuring out how to set up a difficult but fair U.S. Open course that doesn’t have “browns” rather than greens? Let’s put it even more simply. If the PGA Tour thought the topographical information in green reading books was a problem they could ban them as could the USGA for the U.S. Open and other elite events. The new rule interpretation applies to a fraction of one percent of golfers—does anyone your regular foursome use one or indeed, have you ever even seen a green reading book? This seems to be a replay of other issues such as “square grooves”, solid core golf balls, clubface rebound, anchored putting and the yet as unfulfilled goal of USGA executive director Mike Davis to roll back golf ball distance. Realistically it makes no difference if green reading books are allowed, banned or required to be thumbnail sized with a tiny number of elite players using them. But given the lack of clarity and reasonableness over this issue is it any wonder those who play solely for the love of the game might think our ruling body has lost touch?